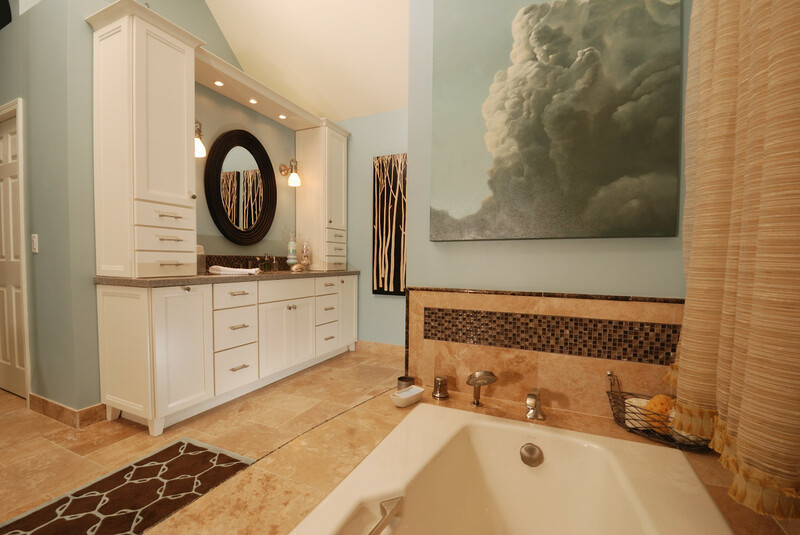 Bathrooms are the most expensive rooms in a house per square foot. One of the top complaints our customers have about their existing bathrooms is the lack of space and storage. The issue of space often is a matter of the way the bathroom is laid out – the floor plan and how space is used. When storage is an issue, we generally find the cabinetry that was installed has minimal or no drawers. When the floor plan is changed, it’s important to make sure the bathroom functions for it’s use. Powder rooms need minimal space and generally is used by one person at a time. The children’s or guest bathroom may have multiple people getting ready during the morning rush, all at the same time. And a master bathroom should allow the owners to get ready for work together in a relaxed environment. The floor plan and flow of the space needs to match how the bathroom is going to be used. Storage is a matter of how to take a given amount of space and optimize it. Contractors often short change customers by using vanities with a minimum number of drawers. Drawers are expensive relative to simple under counter storage space (think of the cabinet under the sink). But they double or triple the amount of storage for a given amount of space in a bathroom (or kitchen). Considering how expensive bathrooms are per square foot, making sure there is a place for everything by adding some extra drawers is a great investment.